Gibtelecom are the national telecoms provider for Gibraltar. Under threat from new players in the market they came to us for help defining and implementing a stand-out marketing campaign for the launch of 4G+ across Gibraltar and to radically rethink about how the company does business online. The campaign would have to work for B2B and B2C customers, locally and internationally, for a range of media and for a number of years. Anything too specific would therefore be a mistake – instead our first challenge would be to find a big idea high level enough to satisfy all these requirements, yet down to earth enough to capture the imagination of all Gibtelecom’s audiences. We quickly realised that Gibtelecom are as central to life in Gibraltar as the Rock itself. They are the people who make a host of other things possible, a high-tech enabler working behind the scenes to help subscribers get more out of life through the power of technology. To capture this positioning of “enabler” we created the campaign tagline “Make Amazing Happen”. Importantly this focuses on the human benefits that tech delivers, not the tech itself. 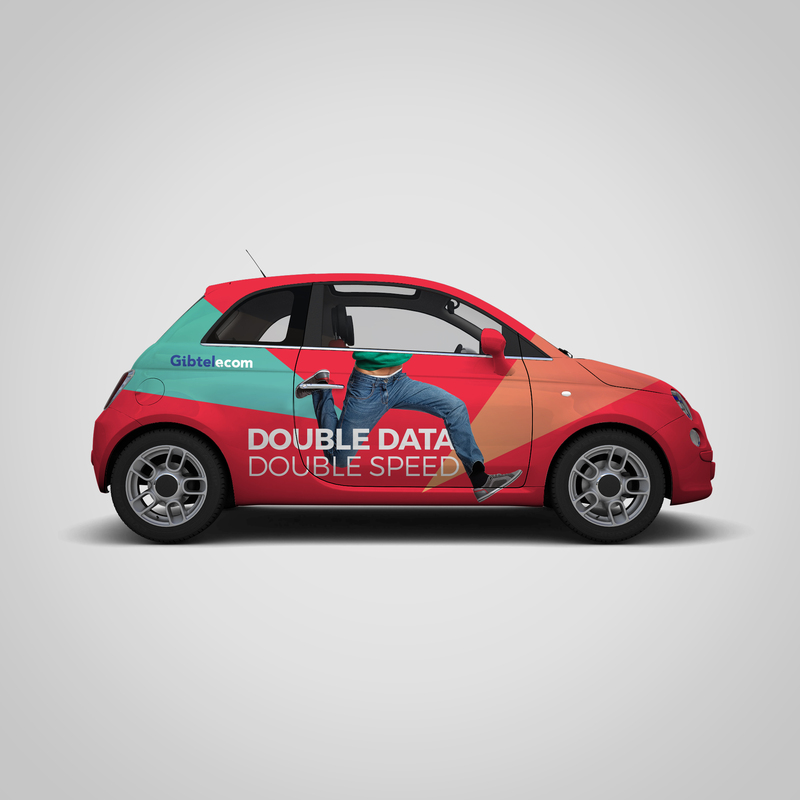 It works in subtly different ways for different audiences: for Gibtelecom itself it’s about how their skill and experience enable them to deliver remarkable results. For enterprise customers it suggests Gibtelecom enables them to pass on some of that amazing to their customers. For consumers it’s about how Gibtelecom powers life-enhancing services that aren’t possible through any other medium. It’s also inherently positive and optimistic, with an energy that’s particularly appealing in a sector where new-ness is prized. Building on “Make Amazing Happen” we then created an advertising campaign for Gibtelecom in general and their plan bundles and 4G+ product in particular. To describe their plans we created a simple, appropriate naming scheme – mini, midi & maxi. 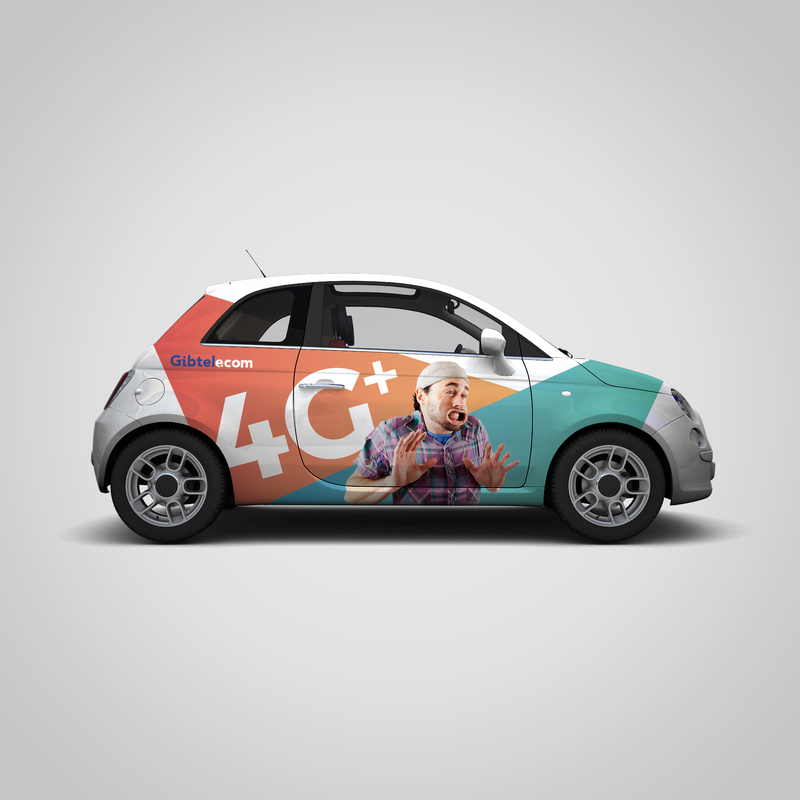 To accompany their 4G+ release we created posters, flyers, naming schemes and more that focuses on the human benefit that 4G delivers via the USPs of speed, reliability, flexibility, affordability and choice. An important part of our work was helping to introduce a culture across Gibtelecom that focus’ on recognising and promoting exactly how Gibtelecom makes life better for its customers, making things possible that wouldn’t be possible otherwise.